For nearly half of the U.S. and certainly us here in Washington, we spend at least a few months a year blanketed in snow. It’s not practical to think we stay inside and practice hygge everyday of those cold winter months so we make the most of it by taking advantage of winter sports like downhill skiing, snowshoeing and cross-country skiing. Depending on the part of the country you live in, downhill skiing might not be an option, and you also might not be the thrill seeking, fast and furious type. That’s where cross-country skiing and snowshoeing might be the perfect alternatives. Your first thought might be how do I get started? First things first. Look for local parks, recreation programs or even outdoor sports shops that have classes or rentals. They’ll be able to get you outfitted and help you make a plan to try either sport before you invest in your own gear. Second – is it easy to learn? Both sports are pretty easy to learn and can be adapted to any skill and fitness level. 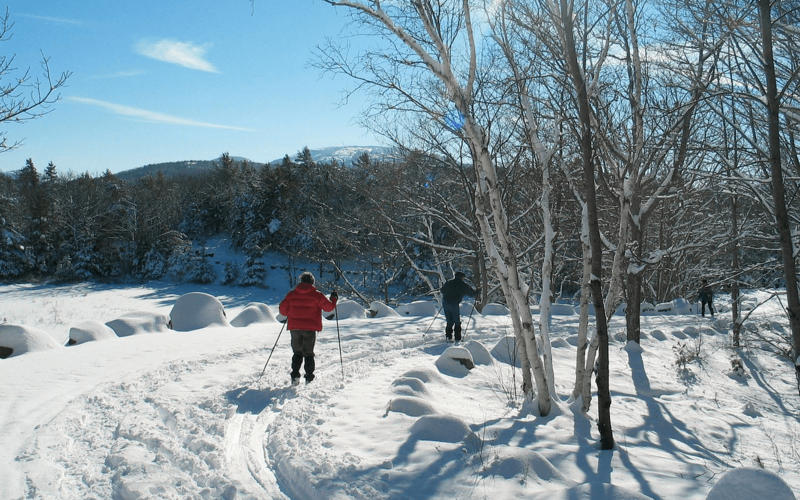 When cross country skiing it’s helpful to start on groomed trails – preferably those that are fairly flat. This will help you get a feel for the skis and develop an easy rhythm without the additional cardio load of breaking trail. 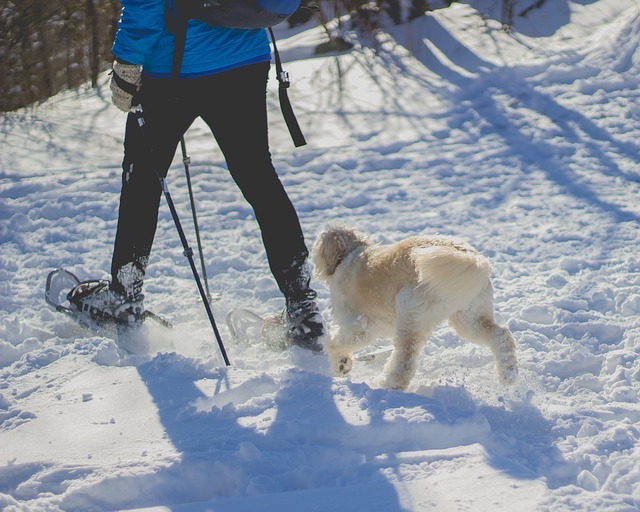 The same applies for snowshoeing but because of their large footprint you can pretty much walk anywhere as long as the snow is fairly firm and not too deep. Now that you’ve rented some equipment and made a plan to get moving – what are the benefits? Like many sports – there is the benefit of a healthy cardio workout. Next there’s the advantage of getting outside in the fresh air, soaking in the Vitamin D of a sunny day and engaging your brain. Trying something new actually creates new neural pathways and helps improve brain function. Remember when we mentioned this sport is easy? It’s also easy on your joints. 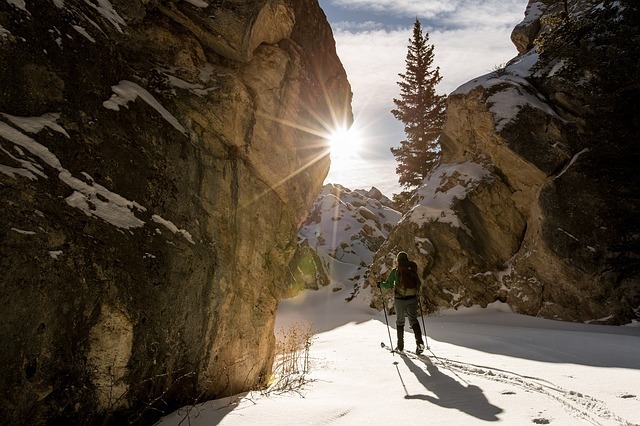 Cross country skiing is perfect for any age thanks to its low-impact style. No pounding on your joints like running or downhill skiing and your risk for injury is very low while you get a whole body workout. Because of the cross body arm and leg striding, cross country skiing activates a lot of muscles in your arms, core and legs unlike sports like running or cycling. Your use of your poles to aide in propulsion works the biceps and triceps and you can even double pole to engage your core, chest and back muscles. That being said – don’t go too far on your first few outings. Like every sport, build up your time and distance gradually so you don’t overdo it, get sore and feel discouraged. Remember that living wholesome to the core is about being your best self. It’s about living a healthy lifestyle, trying new things, being happy and staying engaged in the world around you. Whether you live in a cold and snowy environment, in the desert, at the beach or somewhere in between there will always be opportunities to experience new sports and move your body. What are you waiting for? Start living wholesome to the core today.